Product Description: Align hips, legs and spine for all night support and comfort, and relieve low back pain at night! The patented shape is made of solid memory foam that molds to fit the exact shape of your legs, restoring proper lower body alignment. This small pillow will make a big difference in yow your lower back, hips & knees feel. 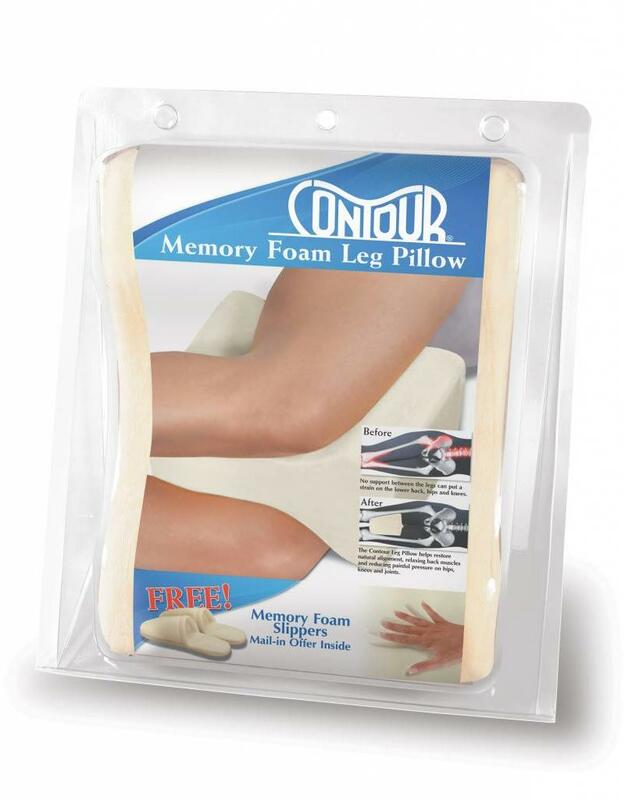 It’s the easy and affordable way to reduce pressure and provide comfort for your lower body at night.